Scissorbills Saloon is a small privately owned Montana saloon and eatery, in the heart of the Big Sky Resort Mountain Village. 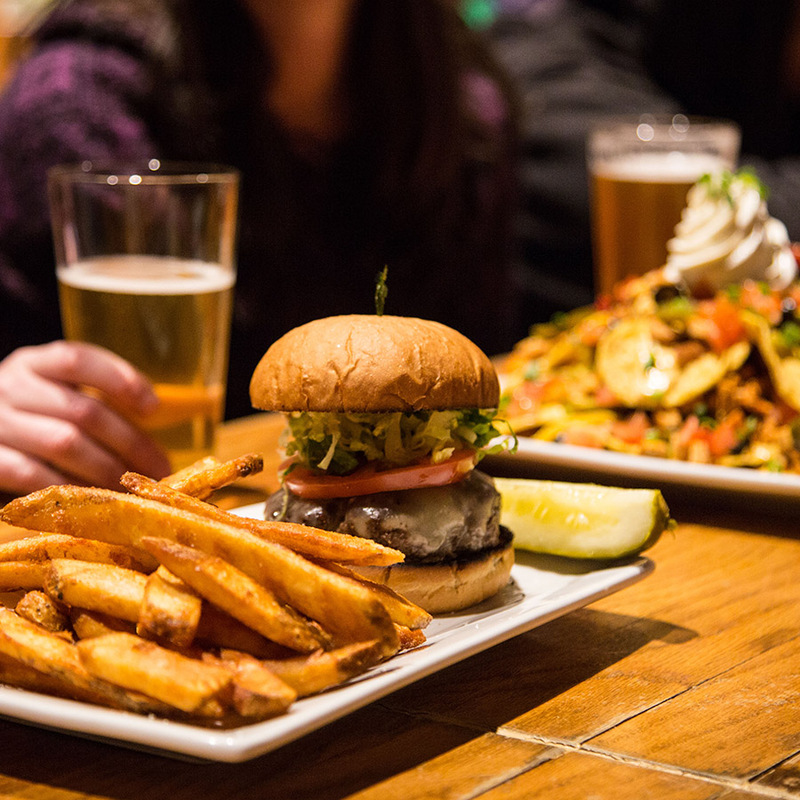 We love Montana Craft Brews and fine pub fare. We are located on the 3rd floor of the Arrowhead Mall in Big Sky Mountain Village. Ski right into the back door for lunch and après with great food, live music, and large variety of beer and cocktails. Customer Review: We chose this restaurant based on input from locals and soon learned why it enjoys such a good reputation. Service was polite and professional. The setting is subdued, perfectly lit and well appointed. Now the important part: the food was excellent. Plates were well presented, but not overly flashy. The chef obviously knows how to create interesting combinations of tastes and colors. Be sure to take advantage of the special offerings which change every day. You will definitely enjoy the experience. Customer Review: We went to the Gallatin Riverhouse at the recommendation of a friend who travels to Big Sky annually. The view and BBQ were highly recommended and did not disappoint! We had a short wait, but didn't mind. We enjoyed the view + live music on the patio sipping some local brews on tap. Once seated, our food was DELISH--order the combo for 2--a great way to try all the local BBQ favs! We will definitely come back on our next trip to Big Sky! served with slaw, corn on the cob, beans and cornbread.